DJ Snake & Alesia - "Bird Machine"
Any time something is sent to me via email and Mad Decent has something to do with the release, I know I'm in for something dope. 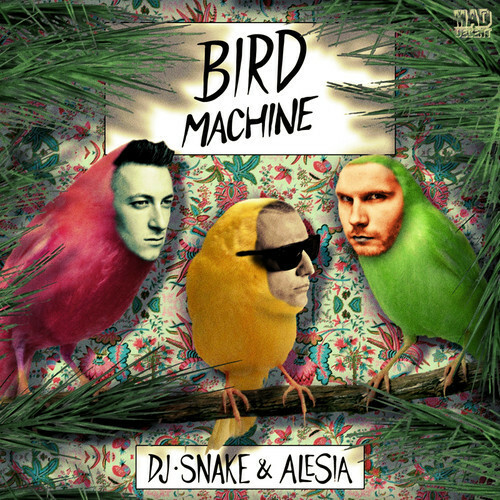 Here the label brought together DJ Snake and Alesia for a track they collaborated called "Bird Machine," a mix of electronic and moombahton that will get your Friday jumpin'. Featuring plenty of finger snaps, tribal sounding effects, snares, and of course some bird whistles, you'll have this track on repeat. Stream and download below, plus make sure your speakers are up for this banger.